In our house we don’t go all out on the decoration front when it comes to Easter. I have a few precious hand painted eggs I bought in Prague a few years ago and the girls have some Easter bits and pieces they like to play with. I did however fancy a little Easter decoration for my studio. I am so pleased that the days are getting longer, so I thought it would be nice to add to the cheer with some brighter, fresher colours around the studio! It’s a relatively simple pattern but there are a few small pieces at the top and bottom of the egg. Take your time and you’ll be fine! There are three stripes on the egg so you can pick and choose from your stash, use just two colours or go for three, the choice is yours! The pdf pattern is presented over 6 pages, 2 of which are the pattern pieces. It features a full colour image of the design, a colouring diagram, a diagram on how to assemble your block as well as tips on how to print your pattern correctly first time around. All of the pattern pieces have been drafted digitally and I’ve included a 1/4″ seam allowance around each of the sections to make things as easy as possible for you. Use #stripedeasteregg when you’re uploading pictures of your work on social media so we can all see your great work. You can also join Little Black Duck :: In the Sewing Room on facebook and share your pictures there, or ask questions if you are stuck! 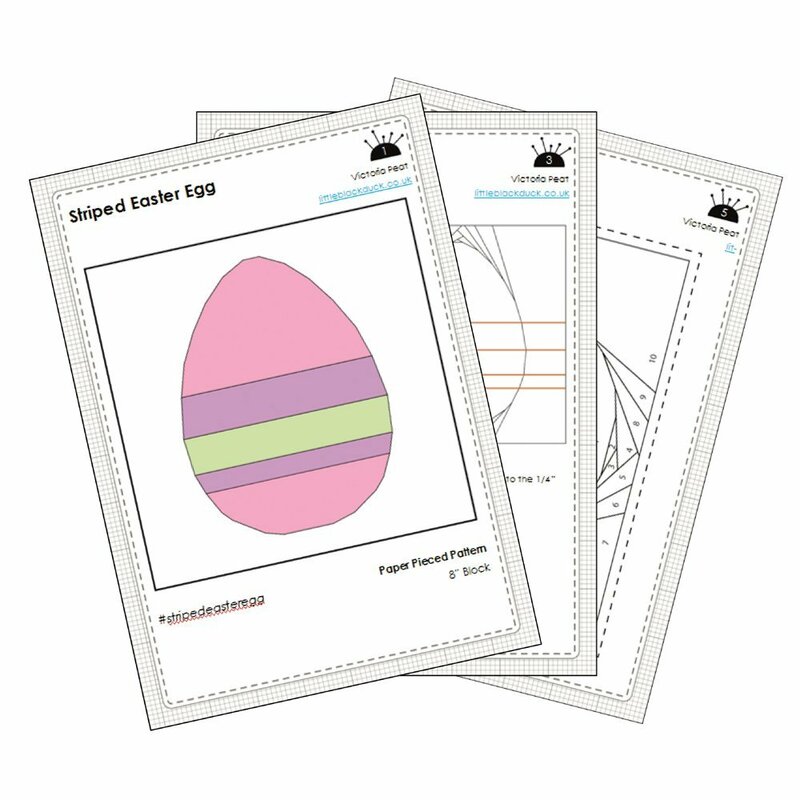 If you would like to buy a copy of the ‘Striped Easter Egg’ FPP pdf pattern you can get a copy from my Etsy store or my Craftsy store for around £3.50-£4. 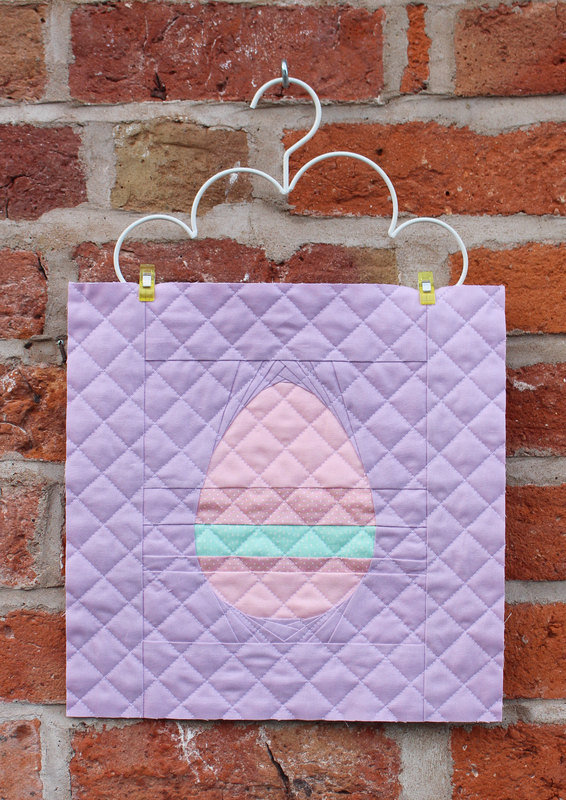 I hope you love my Striped Easter Egg pattern and enjoy making one of your own!